Last year, Manchester City cruised at a canter to the summit of English football, racking up a century of points and finishing 19 points above their neighbors, Manchester United, the second place team. Scoring an astonishing 106 goals, City were from another planet and it seemed very likely that this would be the start of an unchallenged, long spell of dominance of England’s top flight for the Sky Blues. However, English football’s sleeping giant appears to have been roused to the challenge of stopping City. 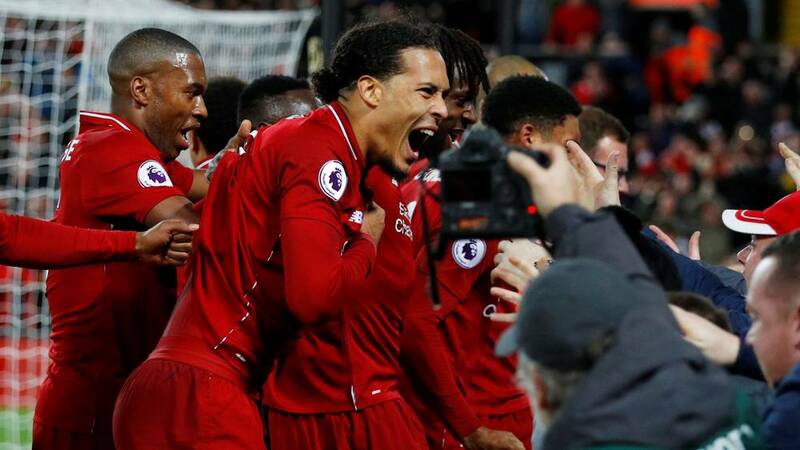 With an excellent window of strengthening their squad, their energetic German manager Jurgen Klopp and the capacity of their home fans to generate spine-tingling atmospheres all behind them, Liverpool Football Club have emerged as chief contenders to depose City. Following Saturday’s huge game at Stamford Bridge, we assess the state of the title race, which is now definitely on. The road ahead for both clubs is going to get very interesting. To scale the summit is hard. To stay there, even harder. Yet, Manchester City have made this look ridiculously easy at times. They have shown levels of effort and application few sides have in the year post a title win. They look as hungry, motivated and determined to win titles as last year. With a points tally of 41 and an unbelievable goal difference of +36, this is very much City’s title race to lose. Yes, the slip at Stamford Bridge has opened the door slightly, but City will know the journey is a marathon, not a sprint. City know how to go the distance. Liverpool on the other are attempting this for the first time in a while. 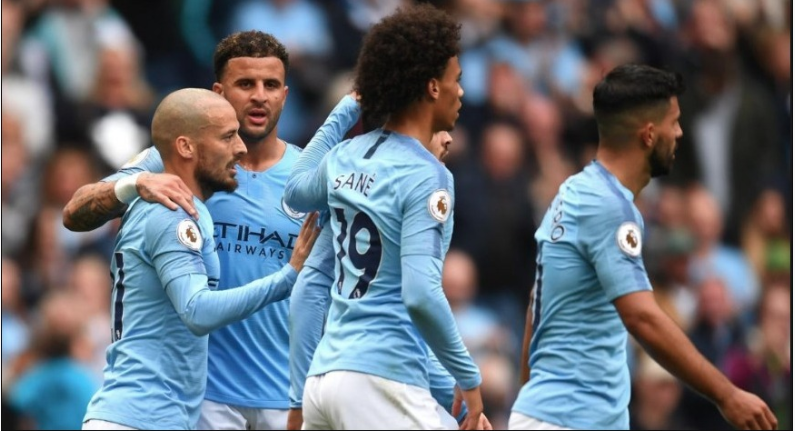 Manchester City also possess a machine like automated ease with which they blow away opponents outside the traditional top six, and this will ensure they keep applying pressure on Liverpool as they quickly aim to reclaim top spot and pull away once again. Pep Guardiola will not let his charges slip in his pursuit of another league championship. He knows the expense of his project and the determination of City’s owners mean that nothing other than winning the title can be viewed a success. City have quite some work to do to attain that. A home game to Everton this weekend gives them the opportunity to quickly settle down and get the winning feeling back again. They then play Crystal Palace and take the long trip down to England’s South Coast to face Southampton before the year ends. All of these should be fixtures City can swat away. It appeared for the first time in the game at Stamford Bridge that City needed magician Kevin de Bruyne back. And his return to the side could not have occurred at a better time. With injuries and fatigue likely to occur over the next few weeks, his return will add a fresh spark to the team and allow his colleagues, the likes of Bernardo Silva, who have deputized so ably for him, to earn some rest. City’s excellent depth means they should really have no difficulties in the coming weeks. The game against Liverpool on the 4th of January is a potential six-pointer. If City, as it seems inevitable they will do, win all their games in the lead-up to that day, then they can strike a major blow in the title race. The fixture is at the Etihad, and while Liverpool have consistently shown they have City’s number, Pep and his team will be supremely motivated this time. In the return round of games, City will play all of their top six rivals at home except Manchester United. That fixture falls on the 16th of March next year. They will hope the title race is in their control by then. United secretly might too. 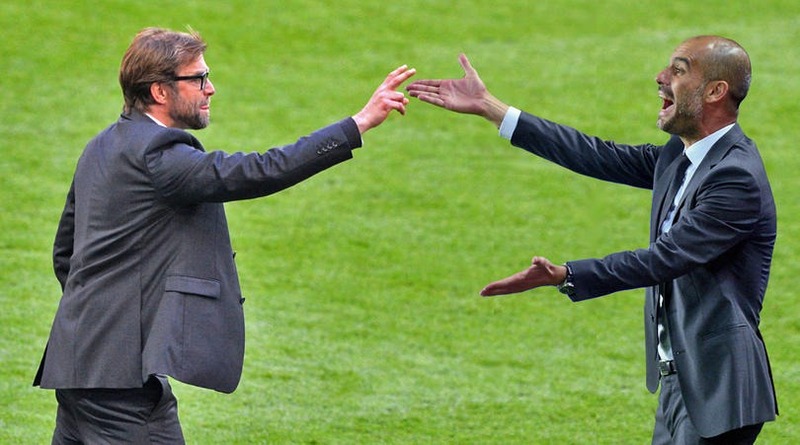 (After all, no United side would want to choose between a derby day mauling and aiding a Liverpudlian title bid!). For all the folks looking to get into the punter’s den, now would be a good time to bet on football and make a windfall on City’s success. In the wake of last season’s Champions League run, Liverpool’s owners have gone out and backed Jurgen Klopp. He has now strengthened Liverpool’s defense into a water-tight rear guard, solved their goal-keeping issues and fulfilled the promise of a title bid. Klopp has slowly, over the course of multiple windows, brought pieces of the jigsaw together and assembled a team in his image. The results have seen Liverpool remain undefeated 16 games into the new campaign. And all this has been done without the Reds yet hitting top gear. Their attack is yet to reach its full, awesome capability. They have been indifferent in Europe. And yet, they stand 1 point above City with 42 points and a very impressive goal difference of +28. But their squad has never been involved in a title hunt. Questions remain over the capacity of their team to handle the intense demands of the run-in. Can they carry the immense burden of expectation and emotion surrounding the title among their fans? Will they be able to maintain consistent excellence? We will know with time. The Reds celebrate after a bizarre 94th-minute Origi winner secured a derby day victory. Liverpool entertain perennial rivals Manchester United on the 16th of December. A win in that fixture won’t be easy, but Klopp will know the challenge and look to rise to it. Liverpool then play Wolves away, followed by a home tie against Newcastle. They take on Arsenal on the 29th of December at Anfield. This looks harder than the set of fixtures City have. None of these games represent guaranteed successes for Klopp and his side, but these are the fixtures champions win. With a team like City snapping at their heels, Liverpool cannot slip. The game at the Etihad on the 4th of January is huge. If Liverpool can come away with a favorable result, it would really set us up for a great finish. Liverpool take on Chelsea and Spurs at Anfield and should use their home crowd to drive them over the line. Like City, they too must face United at Old Trafford, and they will be confident in turning over their rivals. Whatever the outcome, we are in for a terrific run-in. For those with vested emotions, it is a real strain on the nerves. For those neutral, let us have all the drama and more. You would be a brave man to stake one as favorite. An engineering student whose biggest passions are football and writing. Believes that football is a higher ideal, a game with great potential to do wonderful things for the world. When not watching Manchester United, can be found trying to scramble across the line at Engineering.